Invite a fairy into your home! 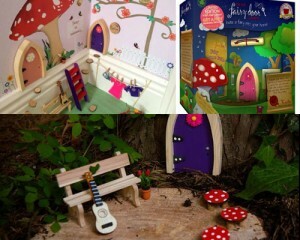 Kelly's is excited to announce we will be Perth's exclusive retailer of the Irish fairy door. Fairy Door Company was started by two moms in Ireland. In the first 18 months of business it climbed to one Ireland's top three toys. With your door, families have access to exclusive stories, play ideas, and activities directly from Fairy Valley. Each kit includes a door, magic key, welcome guide, fairy note pad, and lease agreement.